Since 1978, Silva Contracting has served as the trusted construction partner of leading healthcare systems across the Baltimore-Washington region. Silva’s seasoned professionals understand the unique requirements of healthcare construction projects. Our team is specifically trained to work in these specialized settings. Our commitment to service excellence is unmatched. From preconstruction planning to facility opening, we strive to flawlessly execute every project, on time and on budget. Silva Contracting’s expertise, commitment, and quality work have been a tremendous asset to our organization. 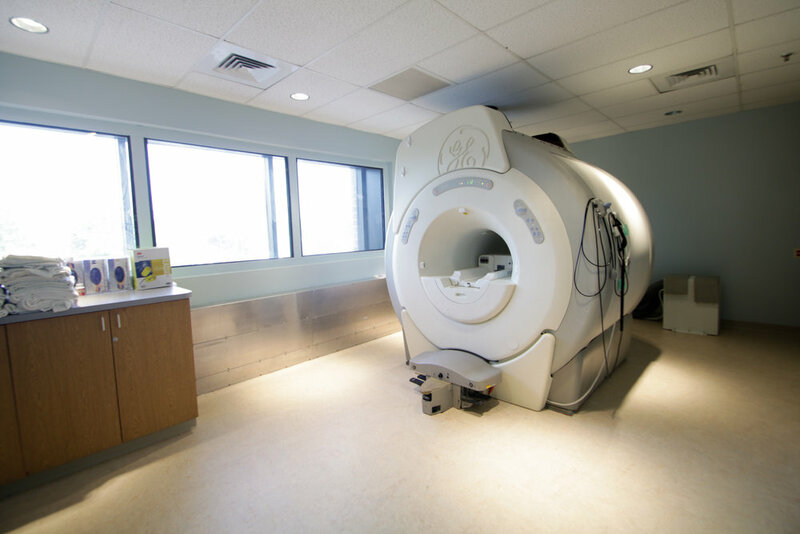 They accomplished our expansion projects in such an efficient manner that we had little to no disruption in our clinical operating schedule—all while remaining in budget. We know healthcare construction inside and out. As industry leaders for more than 40 years, Silva Contracting knows the unique requirements inherent to healthcare construction. We minimize disruptions and maintain compliance all while exceeding expectations for quality of work. Silva Contracting treats you as our partner every step of the way. We're driven by the desire to create safe, functional, and beautiful spaces that promote healing and support healthcare professionals. We communicate with you clearly, consistently, and honestly throughout your project because we believe communication is essential to creating an outstanding end result. All of our staff receives rigorous training in patient protocols, safety, and emergency procedures. We understand the importance of construction sequencing in a healthcare setting and can work within the constraints of each facility’s specific policies and procedures. An optimal mix of quality and discretion. When projects require top security, quality that lasts, and exceptional customer service, we deliver. Silva Contracting has worked with a variety of federal agencies and military installations to enhance building design and efficiency. We understand the necessary precautions that must be taken in government and military facilities and comply with all mandates. Our onsite supervisors and project managers work together to ensure your project is completed according to the highest quality standards, all while providing you with exceptional customer service. If necessary, Silva Contracting will develop a plan to salvage any materials, including metals, copper, drywall, carpet, acoustical ceilings, etc., which can be then be reused or sent to scrap yards—conserving your agency's budget and saving taxpayer dollars. Whether large or small, your project always receives Silva Contracting's unwavering attention. We work with you to transform any space into your space. Silva Contracting knows how important it is to create retail spaces that appeal to customers and perform efficiently. We have over 40 years of experience crafting spaces that have every detail in the right place. From coffee shops to office spaces, we have the expertise, skills, and customer-focused staff to meet any demand—on time and on budget. Whether you need to customize your space with a few simple projects or a turnkey overhaul, we work with established architects and subcontractors to plan and execute your vision—and we do so affordably with the least amount of disruption to your business. During our pre-bid walk, we’ll look for ways to save existing materials and reduce the overall cost of your project. And while your project is underway, our onsite supervisor and project manager will work together to maintain the project schedule, so you can get back to business quickly.